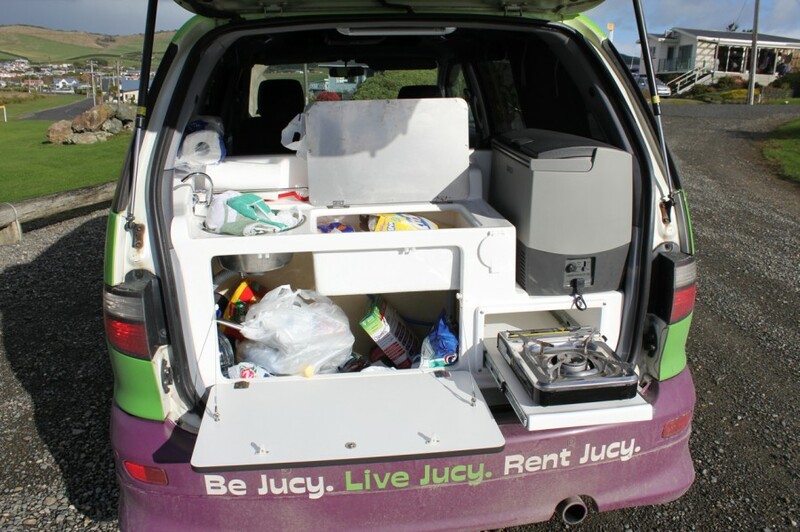 I think the title says it all- I loved my Jucy campervan rental and can not imagine seeing New Zealand any other way. It handled the winding nature of New Zealand’s roads perfectly, and was extremely comfortable, both for sleeping and for sitting in working on the computer, the two things I most need from my lodging when traveling. Since I was travelling by myself, I opted for the smallest model available, the Jucy Cabana. For 1 or 2 people, this vehicle is the perfect size, about that of a standard North American minivan. The middle of the vehicle has two bench-style seats facing each other. Easy storage for the table…. …. 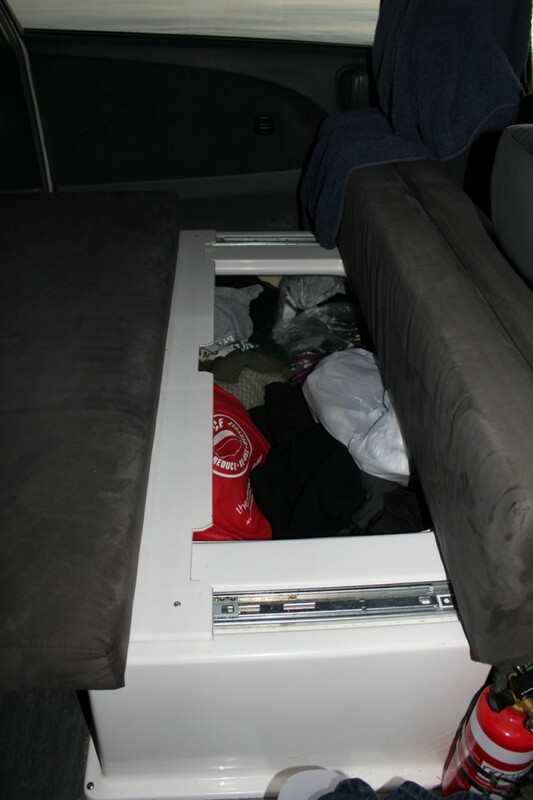 with the bedding stored right in the compartment underneath. I used the other side for storing other things, like my clothes. 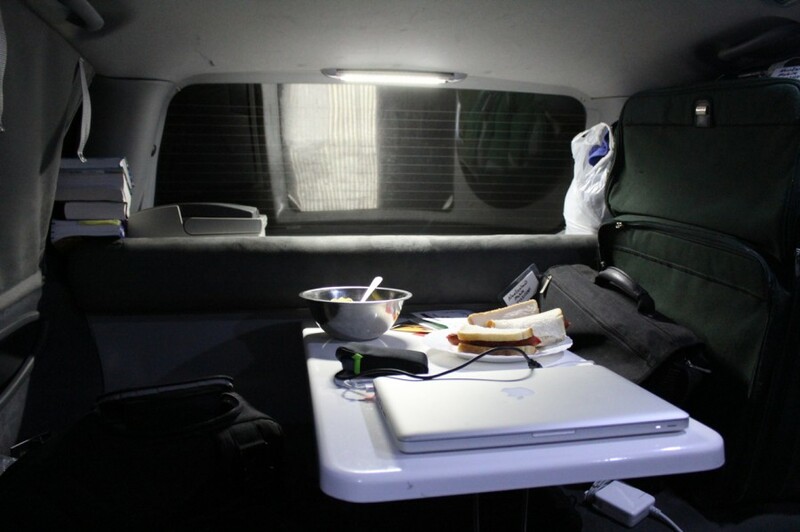 The middle of the van serves as both bedroom and workspace. While driving, I left it in the two bench seat configuration. On nights I was camping, I would set up the table when I got into my campsite so I could eat and work on the computer at the table. 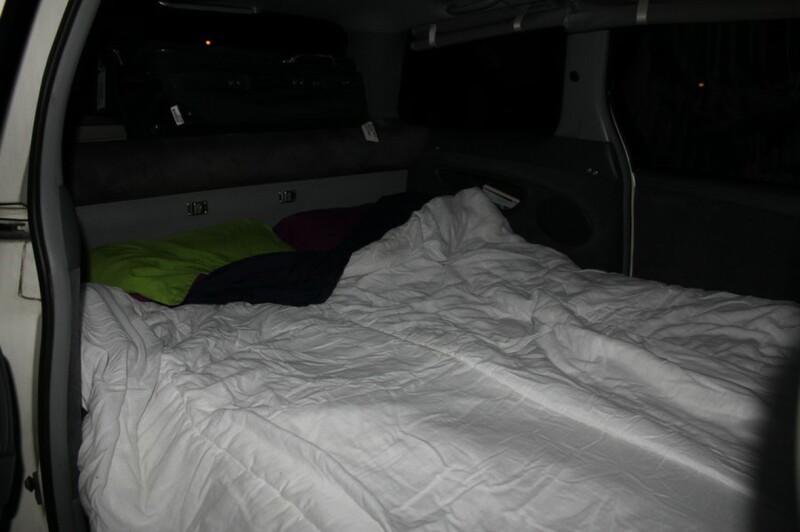 When I was ready for bed, I would move my day pack and all of the other things kept in the back while driving to the two front seats so I could set the bed up. Each of the side windows comes with a curtain that rolls up during the day and is snapped tight, and is rolled down, and snapped to a different snap to provide some privacy for the ‘bedroom’ area in back. The back window does not come with one of these curtains, but I had a large suitcase that I used to block it off by setting it up in the ‘kitchen’ area. Opening the back door of the van reveals ‘the kitchen’ area. 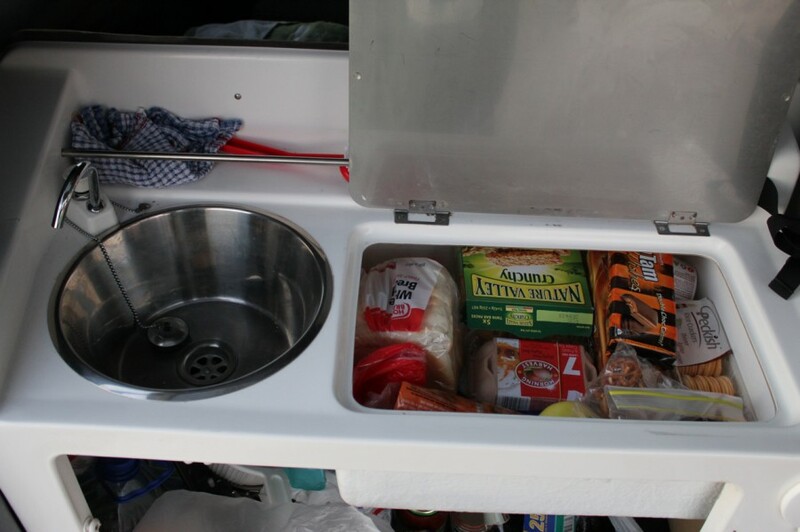 There is a mini sink for washing dishes, two separate storage areas for all of the included cooking necessities and a mini-cooler, which runs off of the campervan’s main battery while the vehicle is running, and off of an auxiliary battery when it is not. 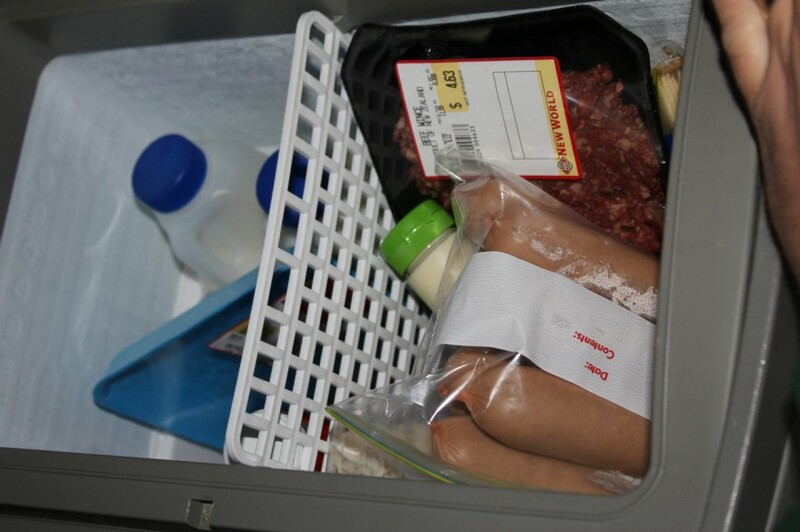 The cooler is especially handy- on my long road trips in the US, I was forced to keep buying bags of ice to add to my cooler. This can get expensive as well as inconvenient having to drain the water from the coller all the time. 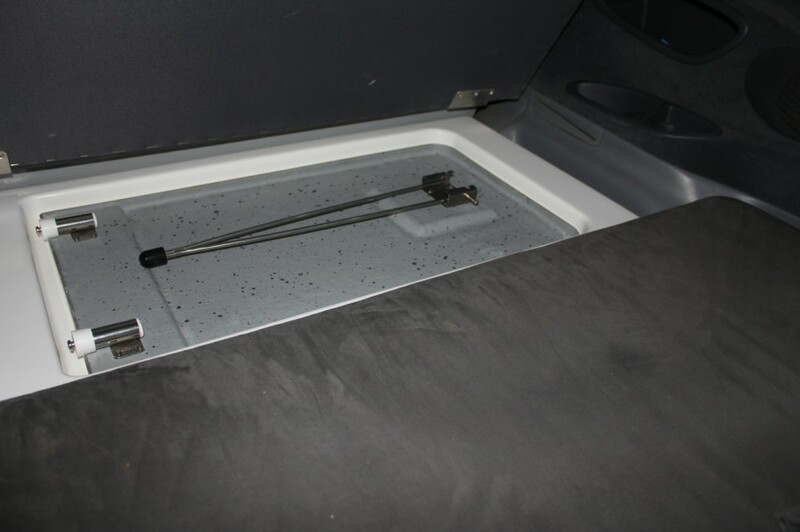 There is also a one-burner stove for cooking that pulls out from just below the mini-coller. 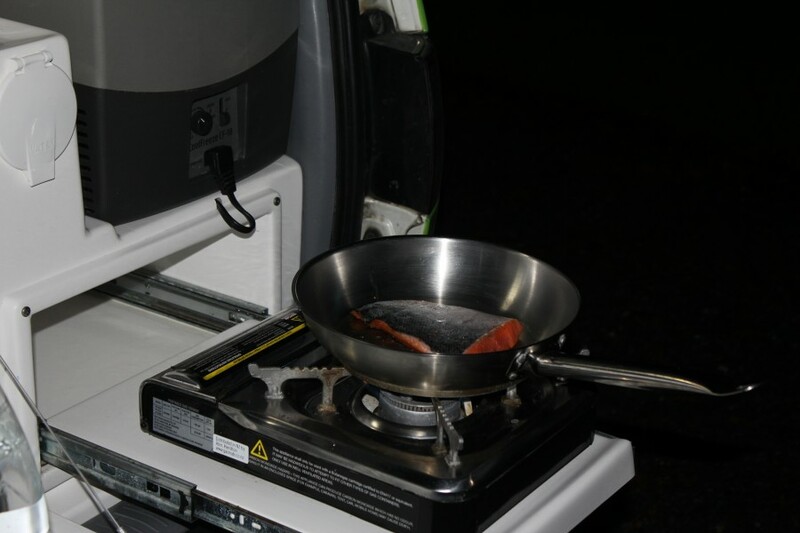 Most of the campgrounds I stayed in had excellent shared kitchen facilites, so I only used the one-burner a handful of times, but I most appreciated the ability to pull of to the side of the road anywhere and whip myself up a satisfactory hot meal. The one complaint I had with the Cabana is that it did not come with any power outlets inside of the vehicle. Some of the larger models do offer this feature, but the Cabana did not. Unpowered spaces at campgrounds are less expensive than powered ones, but I like to be able to work on my laptop and charge my camera batteries in my vehicle each night, so I, after a couple days without power, bought a power cord that I could plug in to the powered spots at campgrounds. The cord was not cheap, running over $150USD, but I really felt like it was worth it to me. It was also fairly hard to track down, but I was so glad I did. 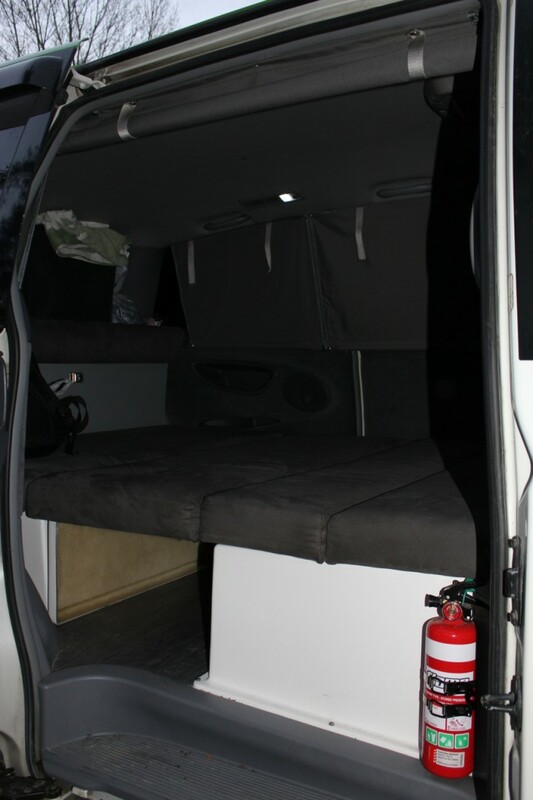 Beside being a comfortable place to bed down for the night, I loved the flexibility that driving myself offered. I know a lot of people who get around New Zealand perfectly well using public transportation and the country’s excellent hop-on/hop-off bus network. For my style of travel, it was perfect not having to worry about bus schedules. 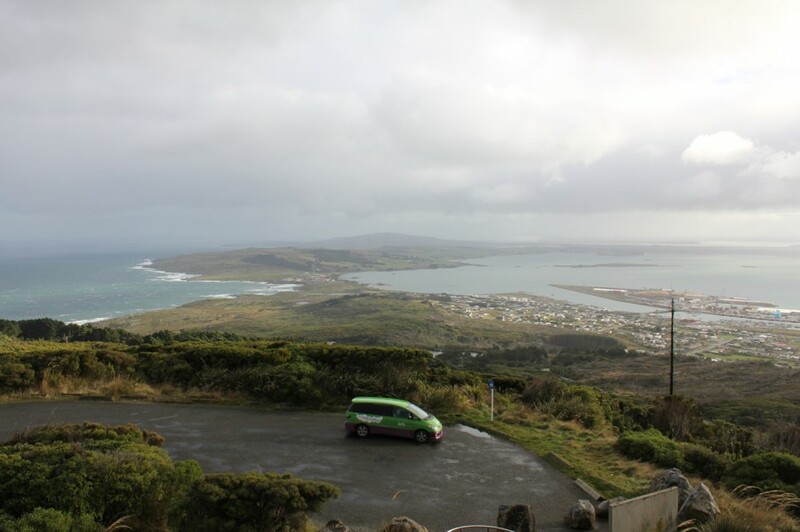 I also had the option of visiting places that even the buses didn’t go (specifically Cape Reinga). It was nice to have the table in the back when witing out rain, which I did a couple of times. One time, I sat in the back and had lunch. Another I worked on the computer for a little while. A third time I unfolded the bed and took a short nap. I didn’t feel guilty, either, about the number of nights I spent in hostels. The campervan wasn’t too much more expensive than a normal rental car, and hostel lodging wasn’t too much more than that of a powered site in a campground. 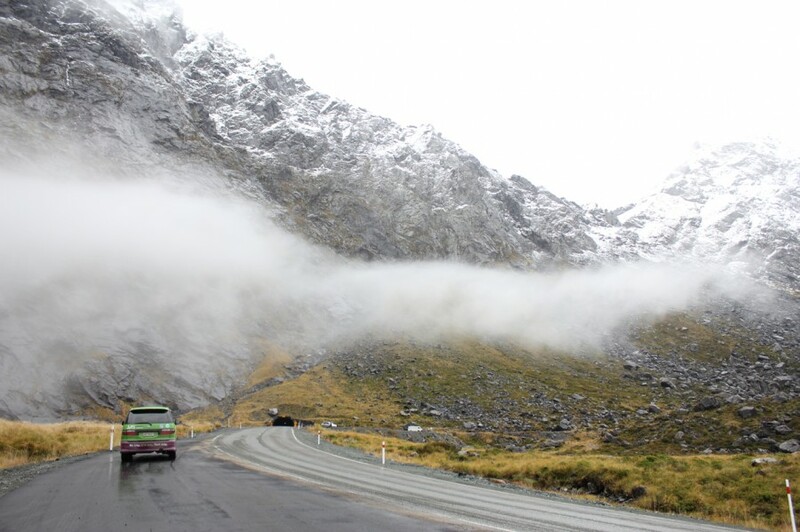 As I said in the opening, I can not imagine a better way to travel around New Zealand. Certain bus passes would save some money, and for many who travel, especially young backpackers and the RTW travelers, but, for me personally, I wouldn’t go any other way. I can also whole-heartedly endorse Jucy, the company I used. They were competitively priced and provided excellent customer service. In my rental agreement there was a list of all the discounts I could take advantage of just from choosing them as my rental company. They offered a discounted rate on the Interislander Ferry, which their customer service also took care of booking for me. Hi Erik, Would you mind sharing the details about the charging cord you used ? Yes- It wasn’t for charging the vehicle, it was for providing electricity in campgrounds. I bought it in a camping store in Dunedin. I believe it was mostly used for tent campers in NZ. 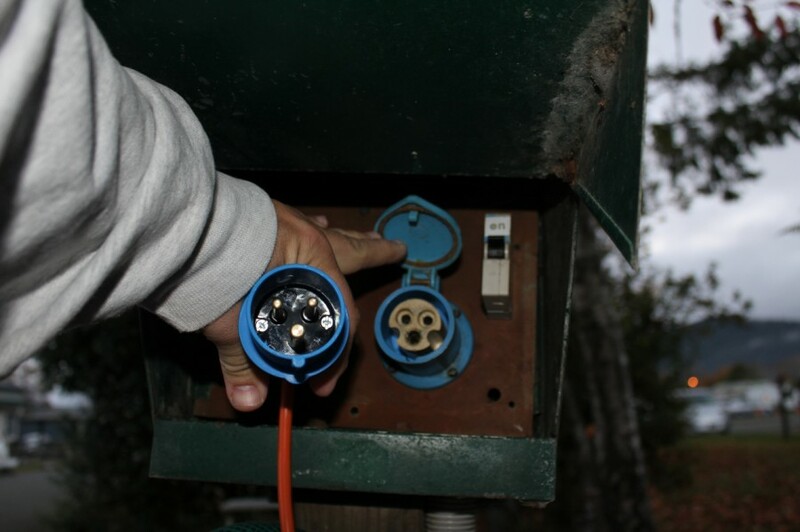 Campsites in the established campgrounds do have electricity, but it isn’t a standard NZ plug. I bought the cord then ran it into my campervan. I also bought a standard power strip to plug into the cord so I would have more than one outlet to use. I’ve heard some of the larger Jucy models do come with outlets in them, just the smaller Cabana which I had does not. 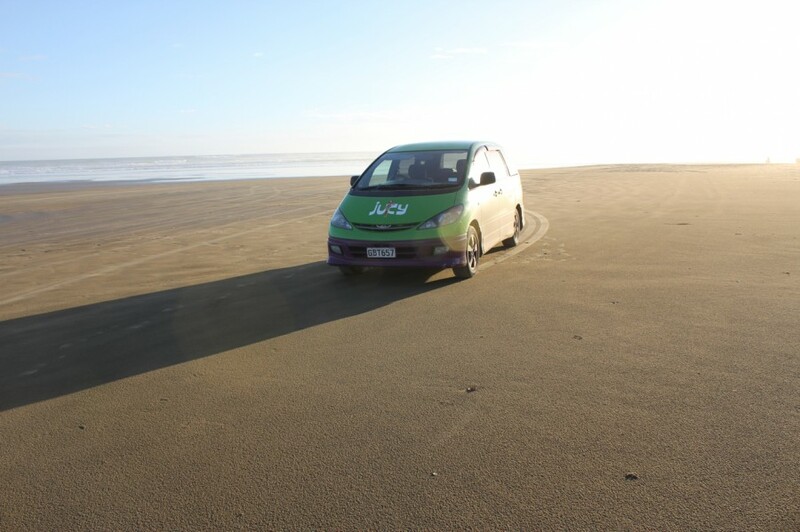 We also had a Jucy van for a few days on the North Island. I loved that we could cook/eat in it and then pull down the blinds and watch a DVD in the back! It was definitely a very handy way to get around. It was a great way to see the country, for sure. I know there are a lot of companies out there to choose from, but I loved everything about Jucy. Tricked out like a 007 gadget – saaaweeeet! Yoooo, that looks SHOCKINGLY comfortable! Traveling in a camper van doesn’t really sound like my kind of thing, however after seeing your little set up I feel like I could probably manage that for a few days! I do think it looks really cosy and apart from the lack of a toilet I would have loved this. It reminds me a little of our narrowboat. 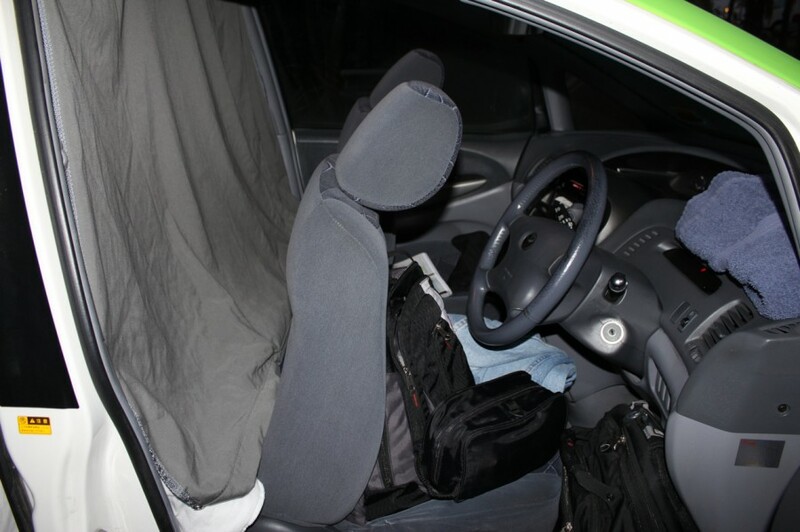 Once you get used to the lack of space you quickly adapt and find ways of doing and sorting things like the way you stored your clothing on the front seat. 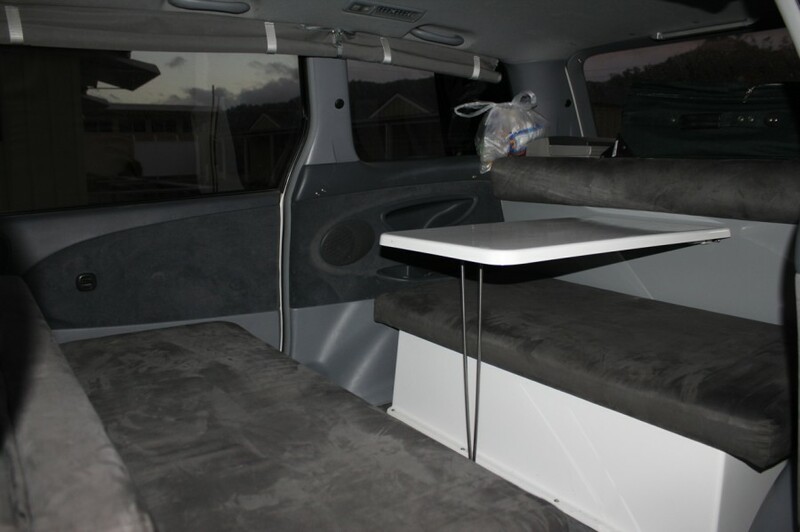 I’d love to hire a campervan one day so it is great to read of your experience. I’d always be concerned with lack of space though. I’m also not too impressed with the lack of power and no curtain for the back window. The space was more than enough for one person- two would be tight but also doable. The lack of power was by far the biggest issue, but there are ways around that. All the campgrounds I was in had nice common rooms where you could charge camera batteries and use laptops if you needed to. 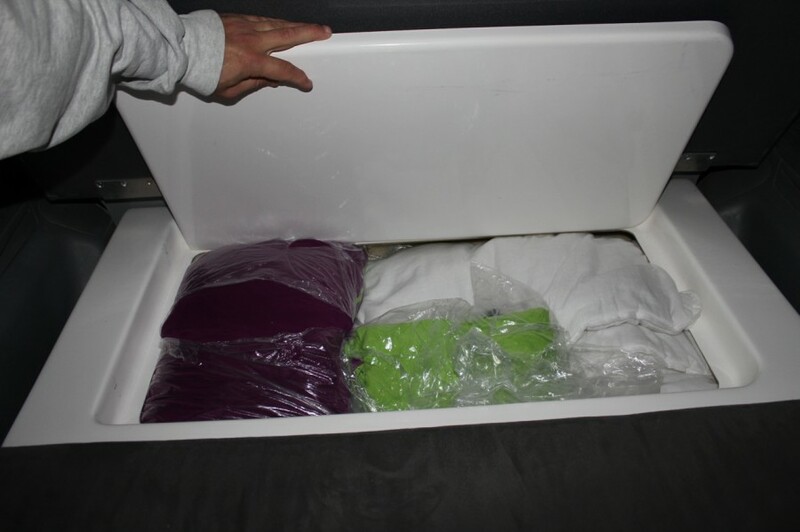 The no curtain for the back window wasn’t a problem either, as I just used my big suitcase to block it off. It also wouldn’t be hard to hang a sheet or towel up there either. Looks like a great way to get around the country. Hostels are nice for the company – which I guess you got some of the time – but nothing like your own bit of privacy and the freedom to hit the road when you want. That counts for so much when you’re traveling. I did enjoy the people I met in hostels (and a few of the campgrounds) but I am really a solitary traveler, so this fit me perfectly. As someone who’s spent a lot of time in RVs, it’s interesting to see the Kiwi spin. Packs a lot in a small space. But it looks like you have to be outside to set up the kitchen? The Little Guy trailerettes here have the same feature, and I’ve watched people freezing in campgrounds while cooking up a meal. I’ve also concluded that some kind of toilet is a necessity for me. It’s hard to spend the night at the Wal-Mart without one. Power and plumbing are always the trade-offs in an RV. I eventually got a solar panel and I carry a lot of fresh water for the times I’m backcountry camping way off the grid. But then i can plug in easily when i go back to civilization. I’d imagine that NZ, like the US and Canada are much easier to access with your own wheels. Good thinking, Erik. I agree with you on the need for a toilet- it’s a little easier for me being a guy, but I’m not a real roughing it kind of guy. I need a shower everyday. Yes, you have to open up the back to get to much of the kitchen. I could get to the sink, fridge and top storage area by reaching over the back seat, though. There are public transportation options that are pretty good, and certainly less expensive and more social, but the kind of access having your own vehicle provides is priceless. The only problem I had was I found myself constantly (and I mean constantly) stopping to get pictures. 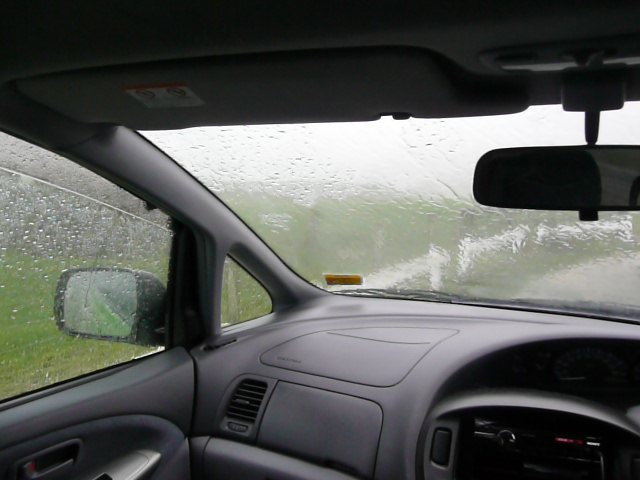 Most of the roads in NZ don’t have too much shoulder, so I found myself in some very interesting parking spots.